Pray for my marriage and family. 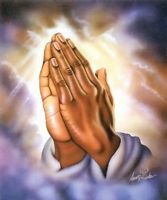 Pray for Gary will make the right decision on business and for my marriage and family. Tom and Ryan will find the right vocation. Mary and Nate wedding plans go well, conversion,health,jobs. Liz and Scott marriage and family. R.F and teammates and coach do well in basketball and school. R.F gets on the honor. A.F and family will lose weight, exercise and eat healthy. Pray for A.F past and present relationships.